As you probably know, EcoMatcher offers companies creative and sustainable solutions to better engage with stakeholders. Through EcoMatcher, companies can adopt specific trees planted by vetted sustainable tree planting organizations in a range of countries. EcoMatcher provides for each tree all data, including the planter caring for the tree. EcoMatcher’s platform enables companies to fully make use of those “tree and planter records” for reward, employee engagement and loyalty programs. Many people asked us whether they could become a Facebook friend with the planter. Problem is that in most cases, the planters don’t have a smartphone and work in remote areas without access to Facebook and other social media platforms. Introducing the Planter Fan Page*. EcoMatcher proudly introduces the Planter Fan Page (PFP). Upon tracking your tree in EcoMatcher’s TreeTracker and viewing the tree and planter, the tree recipient now has the opportunity to leave a message for the planter on his or her PFP. Every planter has it’s own PFP. Periodically the tree planting organization will share all the messages with the planter, face to face, and in their own language. In case messages are posted that are not appropriate, the tree planting organization can decide not to share such message. Although the PFP does not provide the exact same experience as Facebook, EcoMatcher hopes that the PFP makes the world a bit smaller and more thankful place. 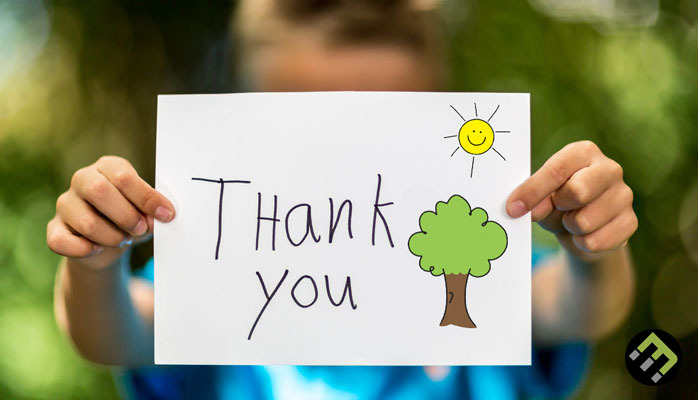 At the end, planters do important and amazing work, why not just saying simply Thank You? Check out an example here: https://www.ecomatcher.com/planter-fan-page/. (*) This feature will start for new trees planted by Tree Adoption Uganda (TAU).